Lawrence Krauss, ASU professor and founder of the ASU School of Earth and Space Exploration, speaks at an Origin Projects event at the Orpheum Theater on Wednesday, Oct. 19, 2016. More than seven months after a Buzzfeed report thrust ASU professor Lawrence Krauss into the national spotlight over allegations of sexual misconduct, his status as a tenured professor hangs in the balance while a lengthy administrative process unfolds. During an interview with The State Press on Sept. 19, ASU president Michael Crow said that the University had dismissed Krauss from the positions over which it has “total control” to do so. However, the process for dismissing him as a tenured professor, Crow explained, is more complicated. Krauss has been on paid leave since March, unable to teach classes and restricted from campus while the University investigated the allegations. In late July, ASU concluded that Krauss had violated University harassment policy during an ASU-funded trip to a convention in Australia in 2016. Following that finding, the University stripped Krauss of his positions as the director of the Origins Project and a foundation professor at the School of Earth and Space Exploration. In light of the investigation, College of Liberal Arts and Sciences Dean Patrick Kenney also recommended that Krauss be dismissed from ASU, Crow said. In an email to The State Press, a University spokesperson confirmed Kenney’s recommendation of dismissal, but did not provide additional details, citing the University’s policy against commenting on ongoing personnel matters. But dismissing a tenured faculty member is difficult. According to Crow, Krauss’s case is in the process of being reviewed by a series of faculty committees that will help determine his future as a tenured professor at ASU. This process is outlined by the Arizona Board of Regents and is therefore similar among all three in-state universities. According to ABOR guidelines, faculty members can appeal recommendations of dismissal to the university president, who will refer the case to a conciliation or mediation process. In these processes, committees attempt to help the faculty member recommended for dismissal and the university official who made the recommendation "arrive at a mutually agreed upon solution. "For example, the faculty member might offer to resign rather than face dismissal. If a resolution is not reached within 30 days, the university president will re-issue a written notice of dismissal to the faculty member. However, the president can extend this deadline to a total of 60 days if they believe a successful resolution is possible. At this point, the faculty member recommended for dismissal can appeal the decision to the university's Committee on Academic Freedom and Tenure. This committee will then hold hearings at which “the university bears the burden of proving the existence of just cause by a preponderance of the evidence.” In other words, the university has to prove that the majority of the evidence supports the faculty member's dismissal. After the hearings, the committee issues recommendations to the university president regarding the dismissal. The president’s ultimate decision, however, is not bound to the committee’s recommendations. According to a University official, Krauss's case is currently in the conciliation committee stage. The committee is made up of three faculty members, one appointed by Kenney, one appointed by Krauss and one appointed by Donna Cataldo, president of the University Senate. If a resolution is not reached as a part of this process, Krauss will have the option to appeal his dismissal to the Committee on Academic Freedom and Tenure. David William Foster, a Regents professor in the School of International Letters and Cultures and the chair of the Committee on Academic Freedom and Tenure, told The State Press in an email that a panel of five to nine faculty members hear the cases. Those faculty members are drawn from the committee as a whole, which is made up of nine members and a chair, representing all four campuses. Foster declined to provide any details about specific cases, citing the confidentiality concerns. He said that hearings are “held as soon as numerous formalities can be met,” but if the faculty member in question has outside counsel, the process can take longer. Krauss will continue to receive his salary as a tenured professor throughout the process. In an email statement to The State Press, Krauss wrote that because University procedures were ongoing and confidential, he would not comment on his status or situation, which he said had not changed since July. In March, Krauss strongly denied the allegations outlined by the Buzzfeed article, calling it libelous. In an email to the Arizona Republic in early August, Krauss said he hoped to be "fully exonerated" as a result of ASU's review processes. While Crow said he was supportive of Krauss’s dismissal from administrative and director positions, he would not say whether he ultimately planned to dismiss Krauss as a tenured professor. “I’m not going to truncate the process," he said. Andrew Howard contributed to the reporting of this story. 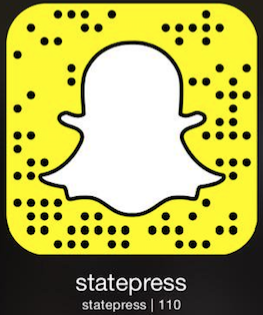 Reach the reporters at maarmst7@asu.edu or follow @MiaAArmstrong on Twitter.